3 seconds 0-62 mph is so last decade. 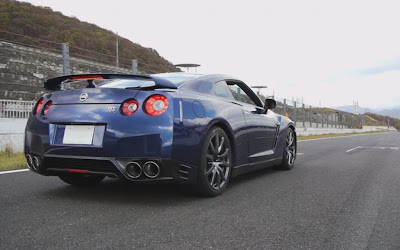 This video shows a 2013 Nissan GT-R tackling this yardstick of performance, 0-100 km/hr in 2.84 seconds. With a 15 horsepower bump over the 2012 model, the GT-R has managed to pick up some speed. 0-60 mph is expected to be 2.72 seconds, quarter mile times in the 10's. It should take more than just 15 hp to put them in the 10's, but that is what Nissan is currently saying. There might be some extra special sauce thrown in there for good measure. LC5? Check out the video below.